Sathvika's teary yellow eyes plead Muthuselvi and Muruganandam every day to save her from this misery, but all they can do is watch helplessly. 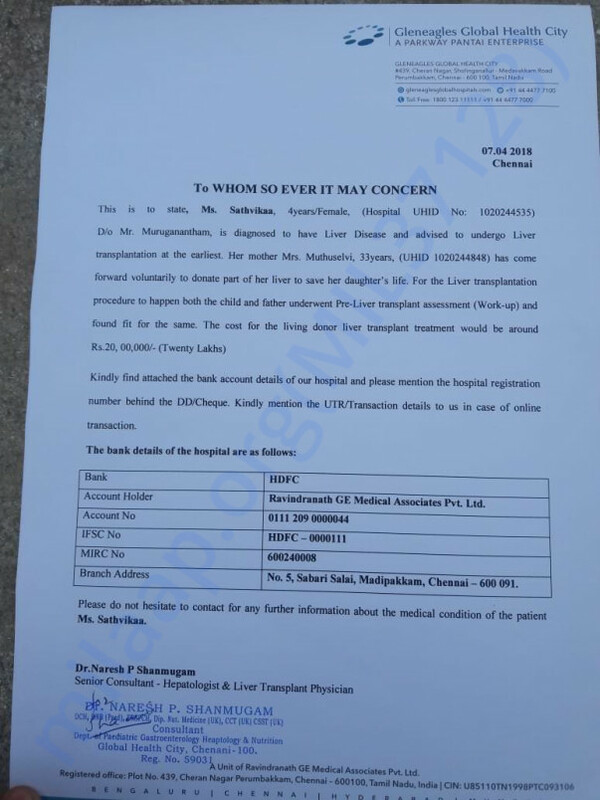 Sathvika’s liver is now completely damaged. Every second that she goes without a liver transplant, she’s being pushed closer to death. After exhausting all their means, her parents can do nothing but pray for a miracle – that somehow, they can afford the life-saving transplant before it’s too late. Muruganandam can’t think of a time when his youngest daughter was happy. He hasn’t seen her smile or play like other kids, all her toys lay abandoned, and some never opened. In the 4 years that she’s been alive, Sathvika’s life has only been about her fight to stay alive. One look at baby Sathvika, and it’s hard to ignore the immense pain she’s in. 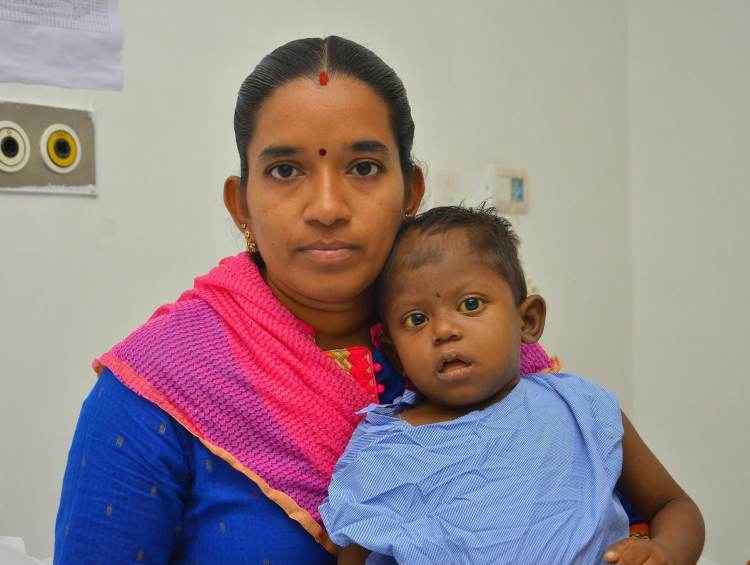 Sathvika is now barely getting by with medications, but she can be saved with a liver transplant. This sliver of hope, however, isn’t enough. 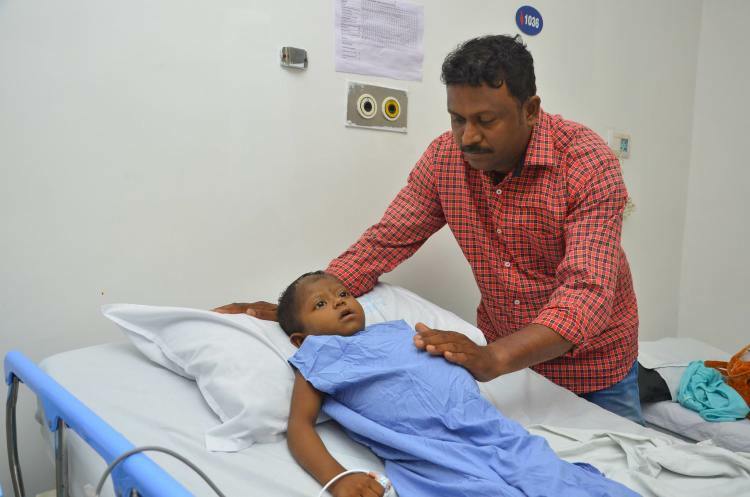 Muruganandam and Muthuselvi need to find a way to pay for her treatment, and soon. Sathvika is now only 12 kgs. 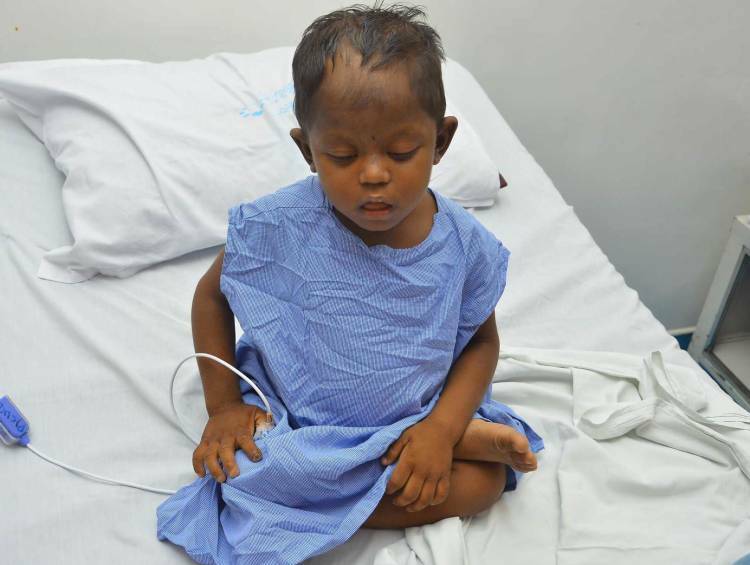 All her hair has been shaved off to stop her from pulling it out, and she lays on the bed, without clothes, crying all day long. 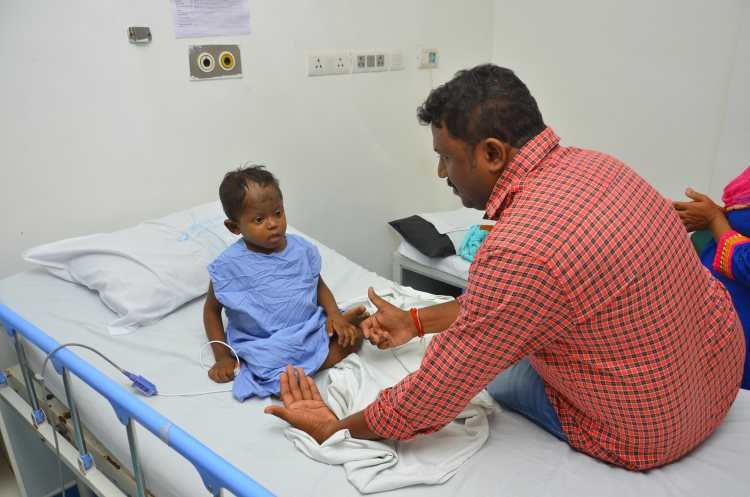 Little Sathvika’s suffering can come to an end with a liver transplant, but her parents, wracked with guilt, have nothing left to save her. Sathvika is now living on borrowed time. An urgent liver transplant can save her and finally put years of pain to an end. Unfortunately, her father, who works for a private company, has spent nearly 15 lakhs on her treatment so far and has no means to pay 20 lakhs for surgery. It will take her parents years of saving to afford it, but their baby has only days left without a new liver. 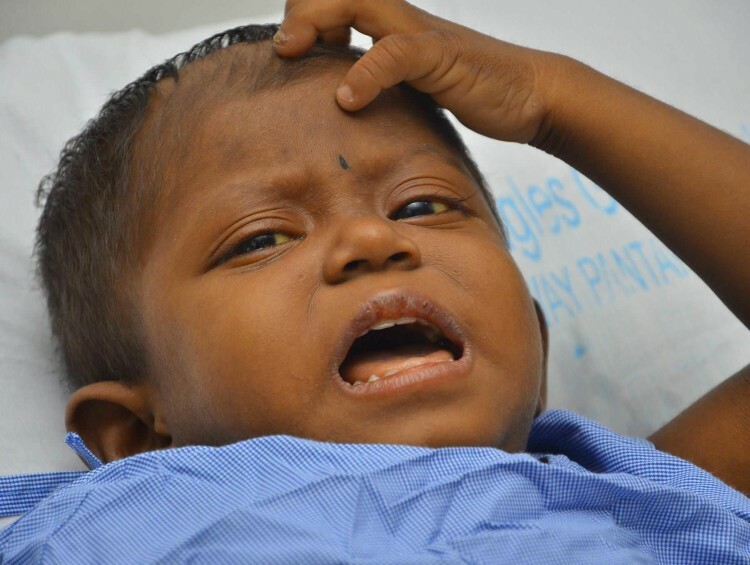 Only your support can give Sathvika timely treatment and save her life. 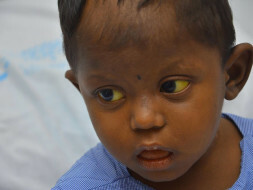 Your support will save Sathvika’s life. All my blessings and prayers.